ASK Academy basketball tryouts will be held tomorrow at the Boys and Girls Club. 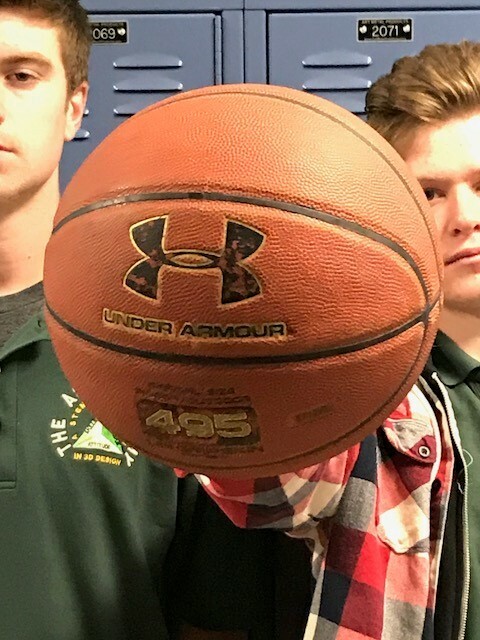 Tryouts for The ASK Academy high school boys basketball team will be held tomorrow at The Boys and Girls Club after school from 4:30 to 6:30 p.m., and head coach Paul Stephenson is excited for this soon-to-be team. John Crawford and Kyle Stephenson will be assistant coaches. Sophomore Lorenzo Gomez will be trying out for the team. “I am expecting to get a team and friendship experience because it will be the first year together as a team,” he said. To make the team, scholars need to show a level of skill, and have no NCs on their report card. Scholars can get an NC during the school year and won’t be kicked off the team, but won’t be able to play. “You have to take care of business first, to be able to play,” Stephenson said. The Boys and Girls Club will be the practice location and home court, with the practices most likely taking place from 8:30 to 10 p.m. every Monday, Tuesday, Thursday, and Friday, and 5:30 to 7:30 on Wednesdays. The ASK team, called ASK Androids, will be in the charter school league, consisting of a total of 20 teams, with an opportunity to play 19 games. There are 12 spots open on the team. Stephenson said October will be a conditioning month for the team to get into shape, and official practice will take place in November. The first game is scheduled for the week of November. If scholars are interested in trying out, contact Mr. Stephenson at pstephenson@theaskacademy.org, or show up for tryouts after school at The Boys and Girls Club.